What is Alternative Credit Data? The financial experts who preach avoiding credit are the perfect fit for some folks. Consumers who do this have the means and dedication to save up their cash and only buy what they can pay for out of pocket. Unfortunately, most of us aren’t one of those people. For the average consumer, buying a car, purchasing a home, or even just paying for unexpected emergencies all require using credit and taking on some amount of debt. Like it or not. But, despite the huge role of credit in the lives — and pocketbooks — of most consumers, many people still struggle to build good credit. And, perhaps more surprisingly, millions of consumers simply don’t have a credit profile at all. Contrary to popular myth, you’re not born with a credit profile, nor do you automatically receive one once you turn 18, or 21, or by hitting any other birthday milestone. The only way to establish a credit profile is to open some sort of credit account (or be added to an existing account by another person). Once you have a credit account that reports to the three major credit bureaus — Experian, Equifax, and TransUnion — it takes six months of credit history to become eligible for a credit score. Until that point, consumers are considered to have a “thin” credit profile and deemed unscorable. According to FICO, the leading credit scoring agency, over 15 million consumers lack the credit history necessary to qualify for a FICO credit score. Without a credit score, lenders and creditors have no way to determine your credit risk (whether you’ll repay your debts); as a result, applicants with no credit score are treated as high-risk until proven otherwise. That high risk can make it extremely difficult to obtain new credit — and, often, more expensive – if you do manage to get approval. That’s because high-risk applicants are charged higher interest rates and larger fees and down payments than applicants with lower credit risk (i.e., higher credit scores) as a way to help offset some of the risk to the lender. Given that millions of consumers are unable to be scored due to insufficient credit history, lenders, consumers, and scoring agencies alike have sought ways to both extend and improve the way we evaluate a borrower’s risk. 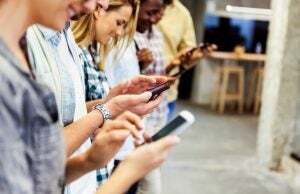 This drive to effectively score more consumers has involved the consideration of nontraditional — or alternative — consumer data, that is available for a larger portion of the population, including those who tend to avoid credit products. Common types of alternative credit data include rent and utility payment history, bank account balances and history, and asset ownership. How can this alternative data help? Essentially, your credit report tells lenders how well you can repay your debts; alternative data can do much the same thing, though sometimes in a more roundabout way. For example, many utility bills are paid after the fact, meaning you use a month’s worth of electricity, then you pay for that electricity at the end of the month (or beginning of the next one). In many ways, this is similar to how a credit line operates — you borrow money to make purchases, then repay it at the end of the month. So, if lenders can see that you always pay your utility bill on time and as agreed, they can assume you will be similarly responsible with a line of credit. Likewise, if you frequently make late payments on your utility bill, lenders may worry that you won’t be able to make on-time payments for a loan or credit card. Although the use of alternative data is becoming more prevalent in the lending industries, it still isn’t as widely used as some consumers may wish. Part of the issue is information availability. The credit bureaus have been collecting traditional consumer credit data for decades — and they’re pretty good at it, This means that nearly any consumer with a credit product likely has a credit report with at least one of the three major bureaus. Unfortunately for alternative data proponents, however, the same can’t be said about nontraditional data like rental history or banking information. According to FICO, only a small percentage of consumers have readily available rental history information, mostly due to the fact that the majority of landlords and rental agencies simply don’t report that data to anyone. And, of course, even if bureaus did have alternative data to use, we come to the second issue: not many scoring models incorporate alternative data into the calculations. While big banks and lenders may have their own in-house scoring metrics that can use alternative data, the typical lender purchases credit reports and scores from third-parties like the credit bureaus or FICO. This limits their evaluation to whatever metrics are used by the parties from which they purchase your scores. Consumers who opt into the UltraFICO Score will securely link their checking, savings, and/or money market accounts to their FICO profile. FICO will then analyze your banking history and assets to evaluate your financial behavior, such as whether you overdraft your checking account regularly and if you have a healthy amount of savings. FICO states that millions of consumers who are currently unscorable would be eligible for an UltraFICO Score. Consumers who already qualify for a FICO Score who enroll in UltraFICO and who demonstrate good financial behaviors can reportedly expect an increase to their regular FICO Score. These days, it’s more important than ever to establish and build good credit. 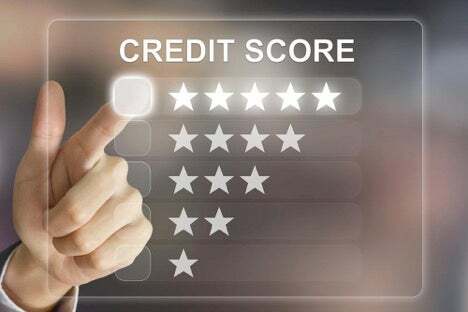 While the continued incorporation of alternative credit data can potentially help the millions of consumers without a credit score, the most effective way to ensure you have a scorable credit profile is simply to open a credit account. Thankfully, opening a credit account to establish your credit history doesn’t have to be a lot of work or money. In most cases, the simplest and most affordable way to establish your credit is to open a credit card. The current credit card marketplace is home to literally hundreds of options, many of which can be obtained without a credit history. Choose a card with a grace period on new purchases and use it to make one or two small purchases each month. Then, pay the card in full every billing cycle to avoid interest fees. If you maintain your credit card account in good standing and pay it off every month, you should qualify for a credit score within six months. After a year or so of responsible card use, your credit score should be high enough to help you qualify for other types of credit with reasonable ease and competitive rates.